Experiences and exposure in new environments help individuals broaden their horizons and empower themselves. And with pacing globalization, international exposure has become a priority for many youngsters today. Catering to their needs are various educational and professional institutions abroad that provide scholarships for undergraduate, graduate and postgraduate levels, short-term courses, students exchange programs and trainings. Here’s a list of some of such opportunities you can apply for, if you want to see the other part of the world, make new friends from across the globe and learn new things. The United Nations Alliance of Civilizations-Education First (UNAOC-EF) Summer School is a week-long interactive program held at EF’s American campus in Tarrytown, New York. The application opens in mid February and selected applicants attend the school in mid August. The school brings together youths from different parts of the world for roundtable discussions, seminars and workshops on the role of youths in bringing about positive changes in their societies. For further information, go to www.unaocefsummerschool.org. If you are a Nepali citizen, have been residing in Nepal, have an academic degree at least equivalent to an Australian Bachelor’s degree, have a valid certificate of English Proficiency Test (either IELTS or TOEFL or PTE) and have at least three years of full-time work experience, you are eligible to apply for Australia Awards. The scholarship is awarded by the Australian government to students seeking to study in sectors like health, education, livelihoods or poverty alleviation, governance, economics, public policy and public financial management among others for Master’s and PhD levels. The application for Intake 2015 is closed but applications for Intake 2016 will open on February 1, 2015. Check out www.australiaawardssouthasia.org for further information. The United States Education Foundation (USEF) Nepal’s Fullbright Foreign Student Program provides Nepali students scholarships covering all expenses including travel for a Master’s degree program of up to two years at selected US universities in any field except medicine. You must have at least three years (for men) or one year (for women) of post-bachelor’s degree, full-time professional work experience in an area directly relevant to the chosen field of study. Check out usefnepal.org for the upcoming program. This is a program of The Embassy of the Federal Republic of Germany, Kathmandu. It offers full and partial research scholarships, opportunities for working as university teachers and postgraduate courses in German universities. The program prioritizes women and candidates from disadvantaged groups who meet the academic and professional criteria and are eager in development-related issues. The classes take place after selecting the candidates usually for the following winter semester. Find more information on www.daad.de. Study of the US Institutes (SUSIs) for Student Leaders are five-to-six-week academic programs for foreign undergraduate leaders. Hosted by US academic institutions throughout the United States, the Student Leader Institutes include an intensive academic residency, leadership development, an educational study tour, local community service activities and a unique opportunity for participants to get to know their American peers. Subjects covered ranges from Journalism and New Media to Public Policy and Government Leadership. Kritika Lamsal, 19, who participated in the study of Journalism and New Media through the program shares, “Even though I’ve been involved in media for quite a while, there were so many things related to media that I was unaware of. SUSI gave me new insights on that matter.” When you’re required to adapt in a totally new environment with multi-cultural dimensions, you learn to open up to different people and develop confidence, she observes. To learn more about SUSI, the application criteria, process and deadlines, go to the US Embassy’s website nepal.usembassy.gov. Government of India provides various scholarships for Nepali students wanting to do PhD, Masters, Bachelors and Plus-two levels in India. The subjects range from engineering to medicine, veterinary sciences, pharmacology, computer application, business administration, agriculture, music and fine arts among others. 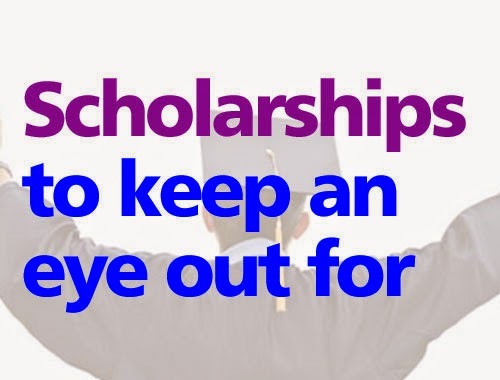 Different scholarships, their application forms and application deadlines are available on the Indian Embassy’s website www.indianembassy.org.np.